If you've lost your teeth due to injury, tooth decay or gum disease, it’s a scary thought to know you may have to wear dentures. 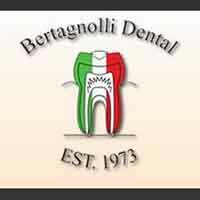 At Bertagnolli Dental we offer personalized attention and a full range of services using state of the art technology and techniques to give you the ultimate dental experience. If you are looking for dentures in Westminster, call our office today. If you have to lose your teeth, there are options to replace them. Dentures can help you with day-to-day functions, such as eating and speaking. With a beautiful set of dentures we can improve your appearance and smile. We have the experience helping people of all ages. We design each denture while you have total communication in the customization of the dentures. You can be confident that your dentures will be exactly what you wanted. When you need dentures in Westminster call and schedule your consultation today.